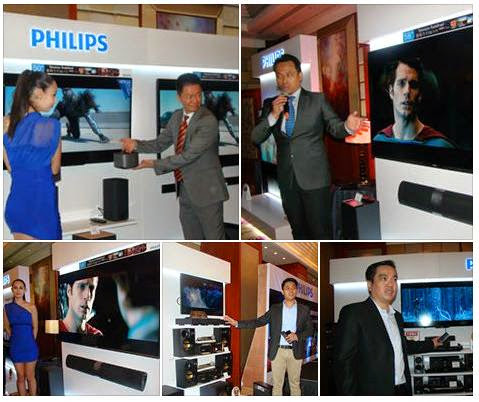 Innovation takes on a new dimension as Philips launches its 2014 home entertainment and sound collection. The latest generation of Philips TVs – the DesignLine and Ultra HD range, bring home theatre to a whole new level, giving you a TV experience that is “beyond the ordinary”. Built with a multi-core Ultra Pixel HD engine that delivers EISA Award-winning picture quality on both native UHD and Full HD content, the new range of Philips TVs deliver astonishing depth and clarity and are the ideal choice for any room in your house. The unique Ambilight feature virtually expands the TV screen, creating an exceptional and impressively immersive viewing experience by throwing a soft glow of light matching the on-screen colours onto the wall behind the TV. New apps which are supported in the Ambilight range allow consumers to interact with Ambilight during sport events, and thus adds a whole new dimension to one's TV viewing experience. From Ambilight to 4K Ultra HD, the latest generation of Philips TVs offer something for everyone. From streaming new content, experiencing new worlds, gaming with friends and even bringing generations together to share stories, laughter and memories – Philips TVs are designed to let you enjoy all the good things in life from the comforts of your home. Amplify your home cinematic experience through high quality sound brought to life by the new range of Philips audio products that deliver an authentic sound experience. Philips Soundbar speakers lets youxperience unparalleled sound quality from all your media devices! Philips Fidelio Soundbar HTL9100, E5 speakers, Soundbar HTL6140, Soundstage HTB4150B and 5.1 3D Blu-ray Home theater HTB5580 deliver the best sound without the clutter, preserving the purity of the original audio content, resulting in greater sonic accuracy. And for true connectivity, Bluetooth wireless music streaming from your music devices for breathtaking music quality in the comfort of your home! The world’s first Soundbar with detachable speakers-- the Philips Fidelio Soundbar HTL9100 and the Philips E5 speakers, are the ideal home cinema audio solution for consumers who want 5.1 channel surround sound without the wires. These products offer true freedom with detachable speakers and subwoofer that are wireless. Philips Fidelio Soundbar HTL9100 and Philips E5 speakers automatically transform to a 5.1 channel surround sound experience when the surround speakers are detached giving you surround sound when you need it. 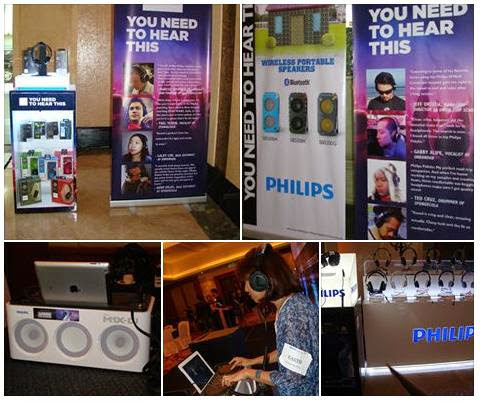 The latest range of Philips audio products lets you enjoy superior, detailed sound. Philips A5-PRO and the M1X-DJ System which allows you to mix, play and share the music you love. The A5-PRO is engineered to meet the highest standards and demands of international DJs and industry pros offering true-to-life sound reproduction that is distortion-free even at high volumes. Philips M1X-DJ makes mixing, playing and sharing tracks simple, providing an authentic DJ experience whether you're a pro or an amateur. Combining a sleek design aesthetic and easy-to-use interface with innovative technology, the portable M1X-DJ allows anyone to create incredible sets that will blow your friends away and stream songs through Lightning connector/Bluetooth. If a heart-thumping beat is what gets you moving at a party, then get ready to be blown away by the Philips range of hi-fi systems - NTRX500 and NTRX700. The smart and easy-to-use DJ mixing functions turn anyone into the star DJ of the party while the handles and wheels allow for easy transportation to the party venue of choice. 260K LED lights and versatile light effects complete the party atmosphere as you feel the beat coursing through your bones!